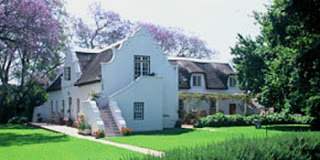 The Huguenots who arrived at the Cape during the 1680's were given loan farms by the Dutch East India Company who ruled the Cape at the time, as many of the French were farmers by profession. The land at the Cape was undeveloped and required a lot of work before it yielded any fruit. In 1694 Jean De Buis received a farm in Klein Drakenstein. It was later called "Palmiet Valleij", then "Palmietvlei" and is now called Palmiet Valley. 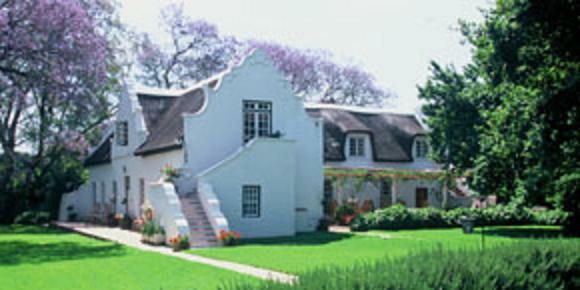 In 1712 he was given the farm "Knolle Vallei", this farm is adjacent to Palmietvlei. On 18 June 1716 he sold both farms to Charl du Plessis. The farm's original building, today's guesthouse, was completed in 1692. Several pieces of other walls which formed part of the building still exist today. When Fred Uhlendorff bought the Palmiet Valley in 1996, the homestead and its vineyards were in a desolate condition. Fred began restoring the farm, and then began uplifting it into the wonderful boutique hotel. While the farm has always been a wine farm first, less lofty fruits have their history here too. Bordering the pool area, are nine of the country's very first Guava trees! Jean, who was born 06 September 1670 in Guines, Calais, France, married Sara Jacob, the widow of Daniel Terrier. She too was born in Guines on 6 October 1677 and was a daughter of Pierre Jacob and Susanna de Vos. Sara Jacob had 4 children by Daniel Terrier and 4 by Jean De Buis. All of these children would have spent some years on the farms before it was sold. Jean is the "Stamvader" (progenitor) of the De Buys/Buys surname in South Africa. Fred kindly let me walk around the farm and discussed its history with me a short while ago. Fred has modernized the farm, but has kept a lot of the original tradition alive in the orchards, guesthouses and in the hospitality he affords his guests.